Ficoba dressed up for the occasion when it became the venue for the prize-giving ceremony of the Kutxa City of Irun Literary Awards. The event took place in different spaces in Ficoba. 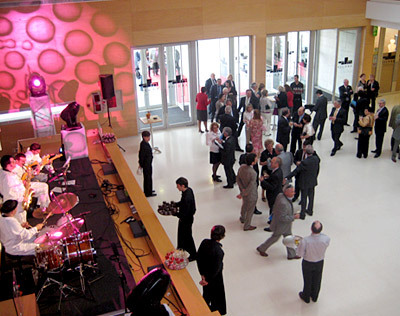 The guests were welcomed in the Hall, where they enjoyed a welcome cocktail to the sound of jazz music. They then went on to the Ficoba Auditorium for the presentation of the Literary Awards. The finishing touch to the event was the gala dinner served up by the chef Iñigo Lavado in Ficoba’s glass-walled gallery, specially decorated for the occasion..